In 2014, an earthquake off the Florida Straits uncovers a city that had been hidden beneath the sea for centuries. It’s a land of dark miracles and black wonders, and a place that harbors extraordinary secrets and deadly curiosities. 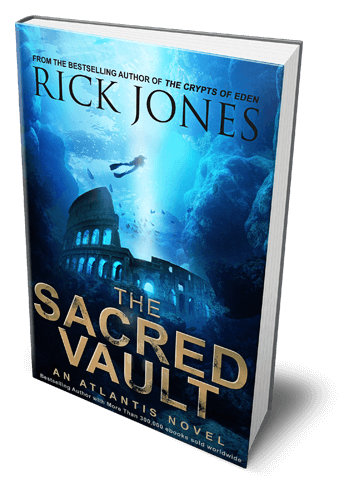 Months after their narrow escape from Eden, archeologists and symbologists John Savage and Alyssa Moore are called upon to examine archaic texts inside the presumed city of Atlantis. The writings are similar to those discovered in Eden, the symbols a roadmap to mankind’s destruction by the year 2026. Along with a commando unit, John and Alyssa quickly discover the pitfalls that were created to keep a fabled relic safe. After deadly challenges and conquests within the structures, they eventually come across the Emerald Tablet—the legendary plaque that holds the secrets of the universe. But is the Emerald Tablet truly a source of great power and knowledge? Or is it disguised as Pandora’s Box that once opened it would quickly mark the beginning of mankind’s end? 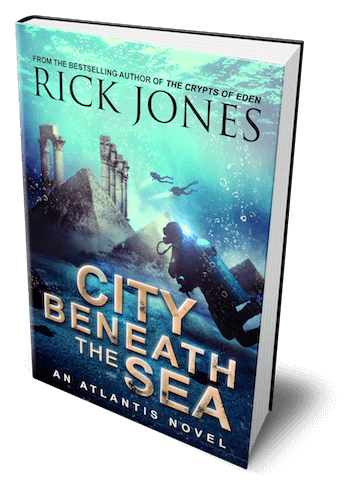 From the bestselling author of the Crypts of Eden and The Vatican Knights comes Book #4 of a John Savage and Alyssa Moore Adventure (The Crypts of Eden trilogy), and Book #1 in the “Quest for Atlantis” series, City Beneath the Sea. Deep in the Atlantic Ocean lies the ancient city believed to be Atlantis. It is, however, much more than that. After John Savage and Alyssa Moore realized that mankind was on the brink of an Extinction-Level Event, they seek the one relic that could elevate mankind to the next step of evolution . . . Or be destroyed by it. While working alongside a military unit that works strictly “off-the-books” and without Congressional approval, John and Alyssa team up once again to search for the Sacred Vault deep beneath an ancient coliseum. Terrors run deep and nobody is safe. And dangers exist in every corner and at every turn. As John and Alyssa discover the secrets of man’s future through the written prophesies of the Doomsday Calendar, one thing is for certain: in the mountains of Tibet, a sleeping giant has awakened. And the only thing that may save them is an ancient relic. After discovering secrets in Atlantis that mark the point of mankind’s end, John Savage and Alyssa Moore once again seek the truth behind the riddles of a final extinction event. Along the chain of Himalayan mountains sits a precipice that serves as a gateway into Mount Everest. Teaming up with Ben Peyton and his crew of elite soldiers who are joined by a Chinese special-ops unit, they quickly discover that the mountain had been hollowed out to contain an entire valley filled with temples and pyramids. As the teams push forward to find the secrets of an alleged GREAT ARMY that resides within this cavern, they soon uncover the dangers and pitfalls that lead to a grisly truth. Not only do they have to deal with the horrors within, they must also deal with the mistrust they hold for one another because here, inside the City Within the Clouds, the enemy of my enemy is never my friend. 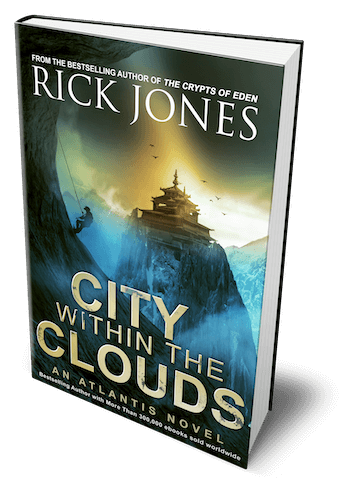 Book #3 of the best-selling (Atlantis) series by author Rick Jones, with more than 400,000 books sold worldwide.